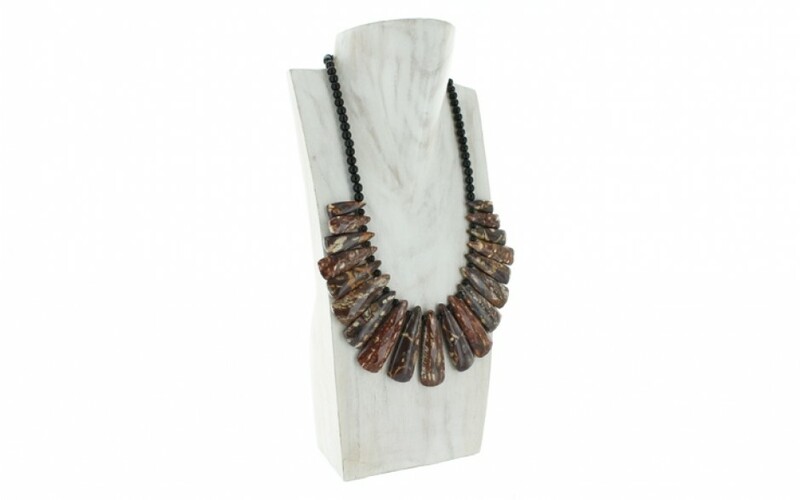 The freeform, faceted stones enhance the beauty of the shiitake stones in this chunky, primitive style necklace. A multitude of brown, caramel, rust and creme colors shine in each stone. 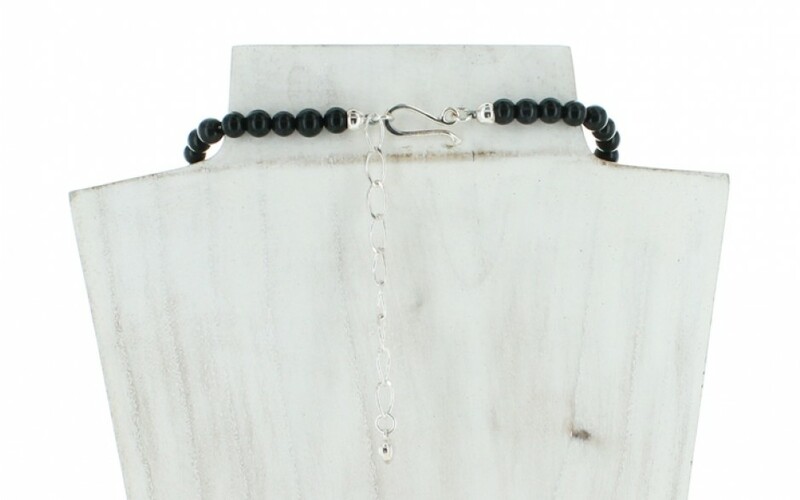 In between is a smooth, round black agate bead that continues into a single strand of beads up to the hook and extender chain. The beads measure 4-6mm. The largest stone measures 51mm x 18mm and the smallest measures 10mm x 30mm. 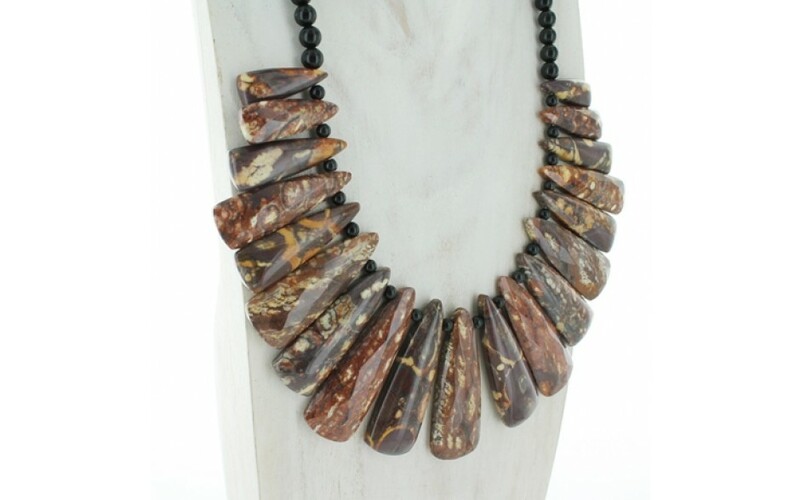 The natural shiitake stone was mined in Mexico and the color enhanced black agate was mined in South Africa.